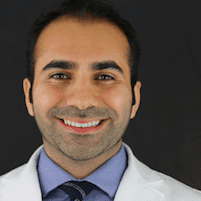 Dr. Homam Saleh, DDS and his staff at World Trade Center Dental Group provide oral healthcare to the residents of the Financial District in downtown Manhattan, New York City, New York, 10004 and surrounding areas. They offer state-of-the-art urgent care to their patients who need immediate dental and oral health treatment. A dental emergency is basically any type of injury or illness that requires the immediate attention of dentist or other health care professional. This includes but is not limited to uncontrollable bleeding of the gums, a lost or broken tooth, and damage to the tongue or soft tissues of the mouth that may require stitches. Urgent care facilities normally offer more services than a regular dentist or orthodontist, as injuries that require urgent care can occur at any time and should be taken care of as quickly as possible to prevent complications. What is the Difference Between Urgent Care and an Emergency Room? 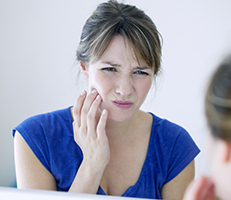 Urgent care facilities are capable of handling cases that require the services of a dentist. Urgent care doctors also treat injuries and conditions that require immediate dental attention, but are not severe enough for an emergency room. Emergency room physicians are taught to handle life and death situations as well as injuries that involve a high level of trauma. They may not, however, have sufficient training to help care for certain dental problems, such as a lost or broken tooth. An experienced dentist who specializes in urgent care medicine can treat a patient who has a severe injury involving the mouth or teeth that an emergency room doctor may not be equipped to care for. When Should a Person Go to an Emergency Room? While urgent care facilities are equipped to handle broken or lost teeth, an emergency room is better able to handle traumatic injuries that involve substantial damage to the soft tissues and the skeletal structure of the face. Many emergency rooms have a dentist or orthodontic specialist on hand to help treat patients who are in need of immediate and extensive medical attention. If a person is not coherent, is having trouble speaking or making themselves understood, has obvious structural injuries to the face, head or neck, and is bleeding profusely from the mouth or face or have severe swelling or difficulty breathing, they should be taken to an emergency room immediately.